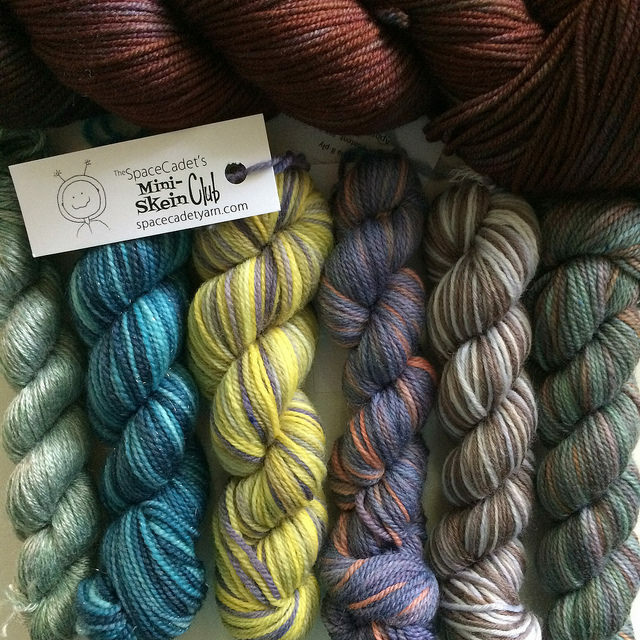 This episode focuses on knitting socks—or, more accurately, swocks (socks that are knit mainly to be swatches, not to be worn; it’s a wonderful term I’m borrowing from Stacie of the Must Stash Podcast). I’ll tell you all about the lovely yarn I’ve been “swocking” with, as well as a new heel recipe. I answer some questions, including how I started knitting and then knitting continental as well as how I’m planning to get my mojo back. The technique today (thanks to MindfulWilliam on Ravelry) refines the Kitchener stitch join for sock toes so you don’t get those pesky donkey ears on either end of your toe. Patterns of Time: This is where I purchased most of the patterns for the GenCon costumes I’m sewing. Forget-Me-Not Heel (FMNH) recipe by Ariana Hipsagh: try out her heel (the code FMNHfree works through Sept. 30), post a photo, and enter to win a gift certificate to her shop! Further details in the Ravelry group. Our group on Ravelry—come join us for fun discussions about fiber crafts and to enter for giveaways.